After reading a recent blog involving a Marine accused of beating his wife, almost to death, I decided to delve into the topic of military personal, psychological issues and how they get to the point of hurting or killing people they love. Many recruits are found in high schools. Recruiters go to local high schools and give boys and girls alike the option of a career in the military. Many of these youth have no other option due to poor employment, lack of funding for college and other various economic reasons. The recruiter can seem like a beacon in the night to theses types of youth. Some of theses youth have never even been to a city or exposed to the various situations that are part of city life. Some get married before or right after boot camp out of shear loneliness or the need to have someone from home near them. This places another youth into the mix that is equally inexperienced. These youth are trained in the art of combat and all that that implies. They are then shipped to a foreign country, given a weapon that if they were at home they would be arrested for and told to shoot to kill. Their lives are in danger at every turn and they are dealing with forced adulthood and homesickness. These same youth call home to learn their wife has taken a seedy job in the city and is making more money than they are for risking life and limb. This seedy job places their wife in situations that are less than safe and give her the false feeling of great glamour. The youth, if they survive combat, return home to controversy and politics that make them less than the hero the recruiter promised. The psychological issues have already developed from combat situations and are fueled by the ever mounting situations the youth faces. The wife decides to experiment with an admirer who fills the void left by the ever absent military husband who is suffering from PTSD and depression and feels no one cares or understands. If this dalliance is blatant it only adds to the psychological mix. If it is found out by the youth by chance or gossip betrayal is felt at an even greater level. Enter domestic violence and even murder. Then enter the public opinion that the youth is “bad” and “how could this happen”? We, or society as a whole, create these scenarios and stand back and judge the result like we think it is something new. The facts and history are there to prevent it all from occurring but we, as ignorant humans, refuse to acknowledge our role in the causation so we could never acknowledge the fact that it can be stopped. Now I realize the need for military and the need to recruit youth. But I also realize the need for preventative methods at every level of this situation. If we are going to recruit youth we need to prepare them for more than battle. From the issues of domesticity to disorders due to combat there are prevention methods that can be taught. I vowed I would not join the thousands of speculators having their say concerning the Caylee Anthony case. I am just going to break that for a moment. I was just viewing Jesse Grund on NG. I can see that Baez and the Anthonys were hoping, from the beginning that they could pin this all on Grund. What sticks in my craw is that the selfishness and egotism that is attached to this family is so brazen. In one breath they (Lee first) ripping down memorials to Caylee. Then in an about face they say the toys taken from memorials will be donated to needy kids. This to calm the simmering crowds I am sure. Then the Anthony’s rob the public of the chance to say goodbye by having a private funeral. They should at least let the public have some kind of memorial. Then after this denial of closure, they ask for donations for Caylees funeral. What happened to the trust money for Caylee and the other donations? Spent on their trips to News shows and imaginary Caylee sightings around the states I am sure. Why do people find it so hard to believe that Casey could have killed Caylee. It has been done before as we know. It seems to be a new area of crime. The drugging of kids so parents can go out also seems to be the trend of Casey’s group of friends, if we can believe anything Casey says. I realize that there are people who believe that the Anthony’s have every right to have a private service but hear me out. What about the thousands of searchers and helpers who aided in this case. Caylee has become Americas child. America needs closure too. Opinions? Two issues in computer searches are the Fourth Amendment issue of whether searches are constitutional and what procedures must be used to preserve the evidence seized (Del Carmen, 2004). 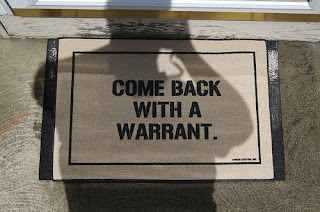 Searches and seizures of computers need a warrant based on probable cause; to believe the data to be seized exists, is evidence of a crime, is presently located at the place to be searched, and a reasonably detailed description of the place to be searched and the data to be seized. The same exceptions to the warrant requirement also apply to searches of computers; police officers may search computers without a warrant if they have a valid consent, exigent circumstances are present, in searches incident to a lawful arrest and if items are in plain view (Del Carmen, 2004). Reasonable expectation of privacy for information stored in a computer is the same as a closed container. The Fourth Amendment prohibits law enforcement from accessing and viewing information stored in a computer without a warrant if it prohibited opening a closed container and examining its contents in the same situation. There is no reasonable expectation of privacy when a person has made information openly available, when the contents of stolen computers are involved, when the control of the computer is given to a third party and when the owner loses control of the file. In my opinion, there should be no expectation of privacy when it pertains to computers. It can be accessed by anyone knowledgeable in computers. The Court held in Winston v. Lee that a proposed surgery to remove a bullet from a suspect’s chest for use as evidence would involve such severe intrusion on his interest in privacy and security that it would violate the Fourth Amendment and could not be allowed unless the government demonstrated a compelling need for it. Even though probable cause existed, the suspect was provided with all relevant procedural safeguards, but the government failed to establish the compelling need for such surgery. Previously, in Schmerber v. California, the Court held that a state may, over the suspect’s objections, have a physician extract blood if the suspect is under suspicion of drunken driving, without violating his or her Fourth Amendment right not to be subjected to unreasonable searches and seizures. The reasoning is that the state allows minor intrusions into an individual’s body and in the case of Winston v. Lee there was the combination of the more severe intrusion and the states failure to show the compelling need for the bullet as evidence. The balancing test is, in my opinion the most just and feasible way of determining allowances of this type of seizure. “There is no “search” within the meaning of the Fourth Amendment if the police use narcotics detection dogs to smell closed containers for drugs, as long as the police are legally on the premises” (Del Carmen, 2004). In United States v. Place the Court found there is no need for a search warrant or for probable cause to conduct dog sniffs. There are five justifications for this judicial rule listed by Del Carmen (2004) in Criminal procedures: Law and practice 6th Edition. (5) The use of dogs is not the same as using a sophisticated electronic device. Dogs trained to detect explosives can be used to foil the plans of a terrorist who conceals a bomb on his person in a crowded public place. If a police officer walking his beat smells marijuana coming from a group of teenagers smoking, that ordinary use of his olfactory senses is not a “search”. It is not reasonable to expect privacy in activity conducted in public, where it can be seen or smelled by passersby, including the police. A trained police dog either alerts in the presence of illegal drugs, or does not alert in their absence. The sniff reveals no collateral private information about the sniffed. Del Carmen, R. V. (2004). Criminal procedures: Law and practice (6th ed.). Belmont, CA: Wadsworth/Thomson Learning. This is a blog for exspressing opinions on various topics. You will eventually notice that most of it pertains to crime, fornesics, trials and criminals. This is due i part because I am majoring in Criminal Justice. Feel free to add, critique, or advise as I do not know it all and will be the first to admit that. Drop by and speak up as it is an American freedom.